Airbnb has accomplished 10 long years of a voyage into a vast travel & hospitality enterprise. Its idea of letting hosts lease out their private apartments, castles, villas or even tree-houses to guests has spread out across about 191 countries. With a vision of expanding its reach by providing hospitable lodging to travelers, Airbnb has traversed a long way uniting hosts and travelers with a touch of belonging. To foster its vision, Airbnb has ushered in some new developments through the announcements made by Airbnb CEO Brian Chesky recently at a Media Event in San Francisco. This program is simply about inspecting the properties and featuring only those few which coincide with the Company’s present standards. Those properties which conform with the company’s standards shall be listed under the ‘Plus’ group. About 2000 properties shall be listed for catering to conditions like cleanliness, comfort, make & design. These will be listed high in the search engines and thereby reap the benefits of an enhanced visibility to users. This encourages hosts to work upon their hospitality standards and promotes an increased effort to improve customer ‘experience & satisfaction’ - A company’s prime gateway to success. 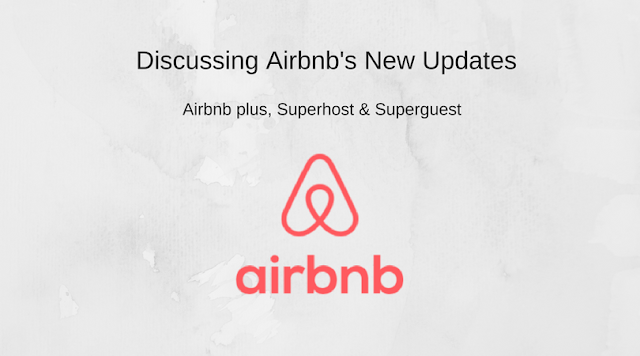 The hosts of Airbnb entitled to the ‘Superhost’ title must be exemplary hosts who stand out of the rest in terms of service and their relationships with their guests. It is decided based on the customer’s experience of unparalleled service and a ‘feel at home’ kind of feeling with the host. It might take years of experience in handling guests and providing them with service and privileges like an extension of a kind and cordial behavior or complimentary entertainment provisions. A host selected as a ‘superhost’ shall be honored with a super host Emblem. The customers can reach out to super-hosts on a ‘Superhost Listing’. Airbnb probes into the activities through timely surveys to reward the most dedicated and sincere hosts. No successful business runs a one-way transaction, And Airbnb too stands for it. Be it a transaction of benefits, cordiality or ethical behavior, a business cannot rise without a two-way effort for improvement. Focusing on this viewpoint, Airbnb has taken a step to check its travelers and guests based on factors like frequency of bookings on Airbnb and host ratings. Special guests who stand out of the rest shall be given distinctions and badges which shall say on their profiles.They can avail the privilege of ‘Extended stays’, ‘Ambassador Programs’, ‘Weighted Reviews’, offers and discounts. These features are propellants driving Airbnb’s business success strategies. This is one more time that Airbnb has excited its customers with some startling offers to feel delighted. Nonetheless, Airbnb marks the beginning of a new line of success with this enthralling move. Don’t you think Airbnb marks a great future ahead?